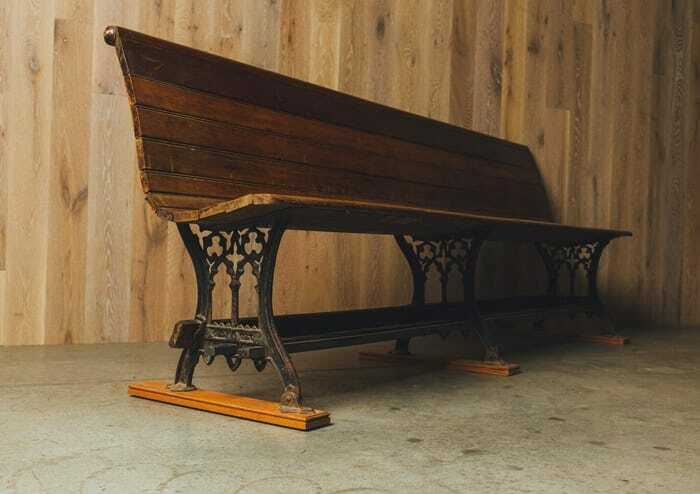 Wait for Godot (or whomever else) on this 19th-century antique train station bench. 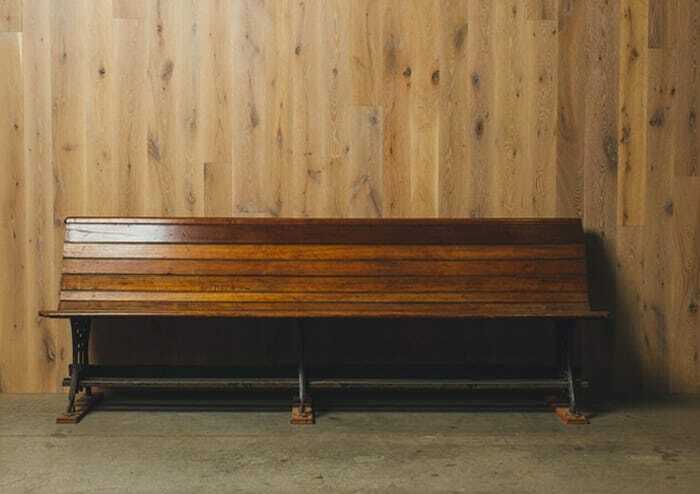 The chestnut seat is curved for comfort during extra long layovers. Cast iron base. Dimensions: 91" width x 33" height x 18"